I learned about Let’s Go Italy Tours a number of years ago through Catherine Goertz’s New Year’s Travel letter. Linda Kirsch’s Italy Tours was listed. This past fall I contacted Linda about a textile focus tour – there were a few others interested in the same kind of visit so she pulled one together and we’re about to embark. 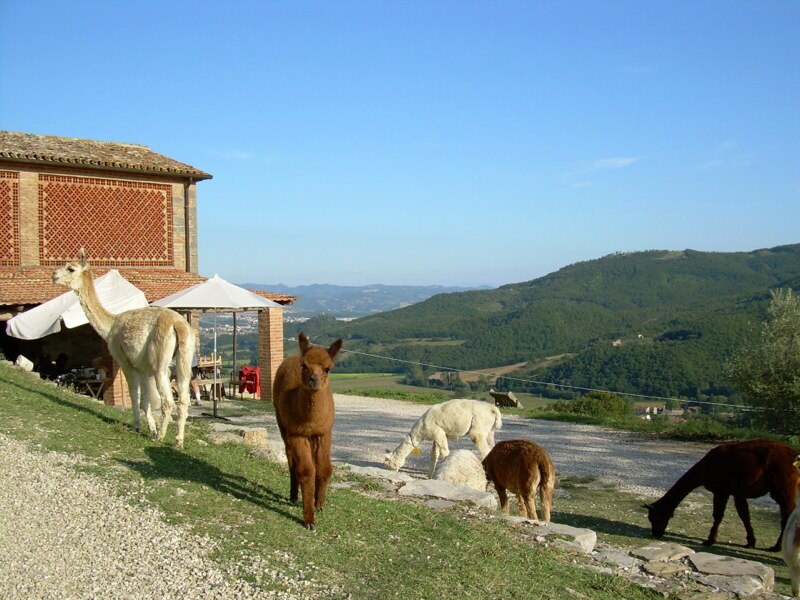 We’ll be staying at an alpaca farm outside of Perugia – Maridiana! The alpaca look friendly and I’m guessing the scenery will be beautiful. The temperature for the next several days in Perugia: mid 20s (although much cooler at night). The focus of this trip is textiles and crafts: weaving, bobbin lace, linen, tapestries…. We’ll be visiting many small walled towns in the mountains/hills surrounding Perugia (Umbria). There will also be lots of Italian food and wine! Our group is small. I contacted the others last week to say Sheila (my sewing friend from Toronto who is joining me on this trip) were arriving mid-afternoon Sunday and hope to run into them before the group meets on Wednesday. Sheila and I are planning to shmooze for a couple of days – fabric shops, botanical gardens, and of course the Brunelschi dome (Cattedrale di Santa Maria del Fiore) and other architectural and art must-sees in Florence. I’m about to depart in an hour. I expect to take lots of pictures and to share a few with you each day! So stay tuned. Oh Florence! My favourite place in Italy. I’m envious. Buon viaggio!